While rehab specialists typically suggest foam rolling or mobilisation based warm ups, some fitness instructors will just suggest 10 minutes on a piece of cardio equipment. And while it’s good to see many Crossfitters placing importance on their banded mobilisations, tacking, flossing and whatever they want to call their warm ups; Many of these movements and the way they’re both executed and placed in to a routine, can show a real lack of understanding of physiological principles. Even the best of these style of routines may improve tissue quality and joint mechanics (maybe! ), but they will not lead to an optimal workout if the right tissues aren’t activated or primed for movement in the right way. The key is to take home some of the learnings of different fitness disciplines, and piece it all together to formulate the best warm-up possible. Unlock hidden muscle strength and power, with up to a 6-10% improvement. Enhance blood flow and nutrient delivery to active muscles. Improve oxygen delivery to working muscles. Increase muscle length and joint range of motion. Optimise joint positioning and fix faulty, poor exercise technique. A well-designed warm-up can have a positive and dramatic effect on performance and the overall effectiveness of your training routines, however very few of us know exactly what to do, or where to start with a warm-up. The anagram S.M.A.P stands for Self Massage/Self Myofascial Release, Mobilise, Activate, and Prime/Potentiate. Conducted in that order, the exercises performed as part of your new warm-up or “Movement Preparation” routine will optimally prime your body to break personal bests, and help prevent and even rehabilitate common injuries. Self massage, sometimes called Self-Myofascial Release (SMR), is an inhibitory technique used to decrease over activity of the neuro-myofascial tissue. By using typically either a foam roller or various size balls of differing densities to target, glide, roll over and apply pressure to tight and overused muscles and painful trigger points, self massage is a highly effective tool to have in your toolbox to improve the quality of your muscle/connective tissues, increase blood flow and tissue length, and potentially reduce muscle soreness from previous training sessions. It’s no replacement for a good hands-on massage, however self-massage is very practical and can be done almost anywhere. Too often are we so focused on the quantity (size and shape) of our muscles that the quality of those tissues oftentimes gets neglected! It’s not within the scope of this article to go over specific exercises, and plenty are available from various resources; however you should aim for 1- 2 minutes of Self Massage over any areas that are typically overused, are possibly tight and sometimes have painful “hot spots” or trigger points. Start with a low density foam roller or large ball, and progress to a higher density foam roller or smaller/denser ball or massage stick. Note: It’s worth a mention that foam rolling itself is a little contentious among researchers and coaches as to whether it has a positive effect or not. There are no proven negative aspects of it however. It can take some time out of the beginning/end of your workouts though, so whether you do this or not can be more of a question of time available. From experience however, foam rolling and other forms of SMR do have a positive effect on many of the clients that I have trained personally. The key aims of this phase are to restore function to your joints and tissues, and re-educate your body to be able to achieve key body positions involved within either your sport or exercise routine. For example, being able to easily get in to the bottom of a squat whilst maintaining optimal body positioning and stability. If you’re physically unable to maintain stability in a deep squatting position because you’re lacking range of motion, then you need to address the mobility restriction, wherever it may be. The best way to do this is to take a test and re-test approach: Try a bodyweight squat (or movement of choice), see how it feels, take note of what areas might feel tight or restrictive, then go away and work on mobilising those areas with specific dynamic mobility-based exercises. We say dynamic because that is the only way you should be before a workout. Save your static stuff for afterwards if you choose to still do it. Anyway, after you’ve done some dynamic stretches/mobilisations, go back to the original movement and if it’s improved then you know you’ve targeted the right areas, if it hasn’t then you need to go back to the drawing board, or spend a little longer on those areas. Keep mobilising until you feel as though you’ve made a change to those tight tissues and structures – anywhere from 30 seconds to 2 minutes should be spent on each mobilisation exercise. General areas that often require a little more attention include: Big toe (1st MTP), ankle, hamstrings and hip flexors, hip, thoracic spine, shoulders and wrists. The mobilisation phase is also an opportunity to practice, and re-educate your body to be able to achieve important positions. Some have suggested that it takes 10,000 hours to master any skill, through what may be due to a process referred to as “myelination” of the nervous system. Gym-based and athletic movement is a skill. You don’t need to be squatting, lunging, deadlifting/hip-hinging or running for 10,000 hours but your warm-up should be a chance to practice correct body positioning and set-up during the movements you’re about to engage in. And here’s a great upper body routine…. The aim of this phase is to “activate” key muscle groups, using low-load exercises for “corrective” or “prehab” (i.e., prevent future injury) purposes. This type of exercise is typically used to restore fundamental movement patterns by increasing joint stability and motor control. By including these low-intensity exercises in a time-efficient manner as part of your warm-up; you’ll be re-educating muscles that typically lay dormant, encouraging them to keep on firing at the right intensity and correct timing and sequencing, and priming the nervous system for the phase to follow. In terms of targeting specific muscle groups or movements, the inclusion of exercises will depend upon your own needs and weaknesses. Where key muscle groups need to be stimulated, or movements/body positions targeted, exercises can be selected to target those key muscles and challenge those body positions. Exercises in this category often include those traditionally associated with rehabilitation, such as mini-band routines, side-lying clams, glute bridge variations, light rotator cuff exercises, and low-load core/pelvic floor exercises. These exercises should not be exhausting, and thoughts while performing them should be on the muscles you are trying to feel working, creating a “mind-muscle connection” and creating body awareness. This is the final phase of your warm-up, and the icing on the cake. This phase will instantly and dramatically increase your performance, and really prime your body for optimal results. 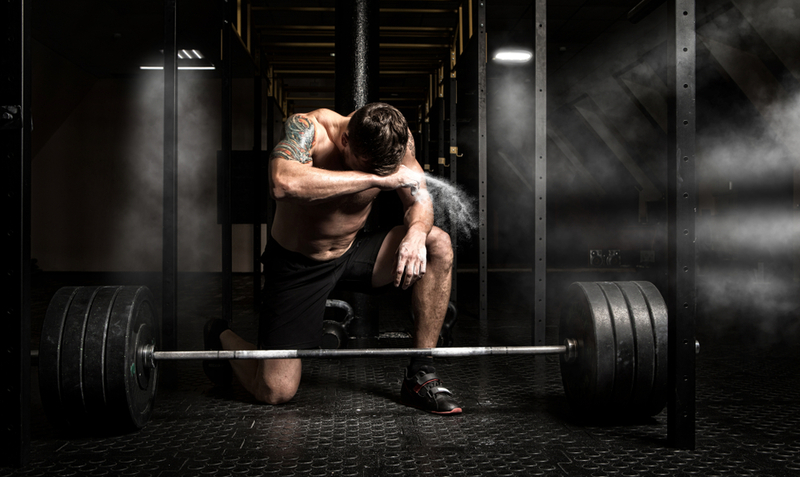 Any performance is ultimately going to be down to the existence of both fatigue and something referred to “Postactivation Potentiation” (PAP). PAP can be seen as the complete opposite of fatigue, and while one will diminish performance the other will enhance it. And a better and more intense performance will ultimately lead to burning more body fat too, so great for those looking tog et in shape. Although there is a good body of research out there, it’s still unclear how PAP exercises work, and the exact mechanisms involved (most research has boiled it down to two possible mechanisms, although many more have been suggested); the simple fact is that it works… PAP exercises have been shown to increase performance, almost immediately by up to 6-10%! PAP exercises, when performed prior-to, have their largest effect on explosive exercises (e.g., jumping, sprinting, Olympic lifting), however they have also been shown to improve maximal strength, repeated sprint ability, and to some extent endurance. Just 3 tuck jumps and 2 depth jumps have been shown to increase back squat 1RM by 3.5%. 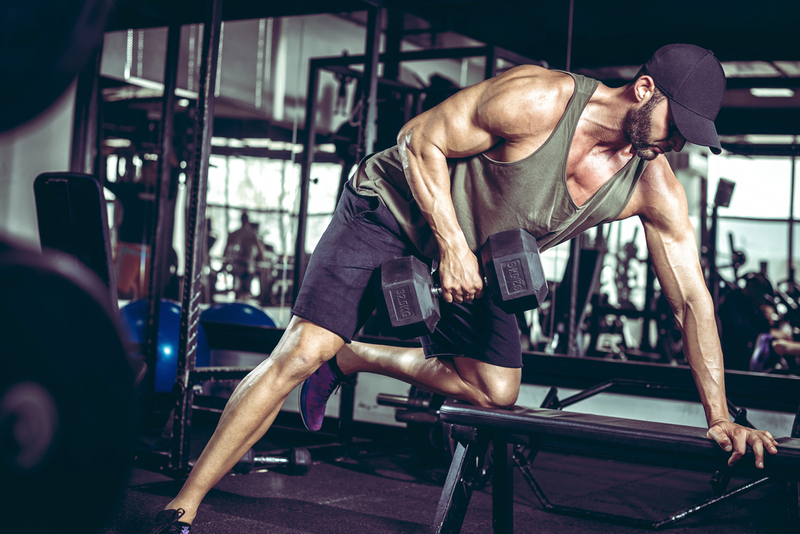 One of the best methods is using heavy or isometric exercises, with just a single set being all it takes to smash your workout through the roof. But for practical purposes bodyweight plyometric exercises that emphasise speed work best, such as: Depth jumps, vertical jumps, box jumps, clap push-ups, resistance band rows for speed, clap inverted rows or plyometric pull-ups, and resistance band punches for speed. Complete 1-3 sets of 5-7 repetitions of the potentiating exercise of your choosing at the end of your warm-up, with at least 2 minutes rest before you move on to the next portion of your training session, where you’ll really feel the difference. The closer the PAP exercise replicates the movements/muscles you’re training that day; the bigger the effect. Self-Massage/SMR – Foam rolling, using a trigger point ball, or any other non-aggressive soft tissue technique working on tight muscles and areas of the body that need a little more T.L.C. Mobilise – Improve joint and tissue mobility with dynamic exercises or oscillatory/gliding motions, such as ankle dorsiflexion drills, spidermans and hip mobility work, thoracic mobilisations, and possibly even using bands to assist with certain mobilisations. Activate – Activate dormant or inactive muscles, and turn up their dimmer switch. Typically low level core, glutes, lower trap and rotator cuff exercises. Glute walks with a mini band, leg lowers, dead-bugs, Y-T-W’s with a band or TRX and so on. Prime/Potentiate – For an instant increase in strength, power and performance, try finishing your warm up, or even starting your workout with a few explosive lifts, plyometrics/jump/hopping drills, or heavy/isometric movements. Clap push-ups before your next bench press workout, or some box jumps before your next leg workout. Not to failure, but just to wake up the nervous system. By embracing the warm-up outlined above you’ll achieve the best training performances of your life, the best results, and prevent and even rehabilitate common injuries that may have put you back in the past. Never again will you forget to warm-up! Looking for more help or guidance with your fitness and nutrition? 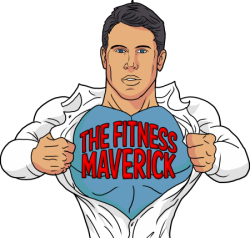 Check out THE FITNESS MAVERICK COACHING PROGRAM to find out more!